This winter season, we have picked out 12 of our favourite wintery walks – from 1 mile to 7.5 miles – to keep you active and enjoying our Norfolk Trails. There’s woodland walks, riverside rambles, clifftop and seafront strolls, history-themed hikes and marshland meanders. For longer walks visit our website for Long Distance Trails and the Interactive Map. Clicking on each walk title will take you to a map of the walk. To kick off our Winter Walks series is a lovely stretch of coast, from Cromer to Sea Palling, which opened as a new section of the Norfolk Coast Path in December 2014 (and which forms part of the England Coast Path). Here are two short linear walks across clifftops and along sandy beaches. There’s nothing like wrapping up against the wind and breathing in the fresh sea air! A short 1 mile walk along the north-east Norfolk coast, starting at Happisburgh heading towards the sandy beaches of Cart Gap. 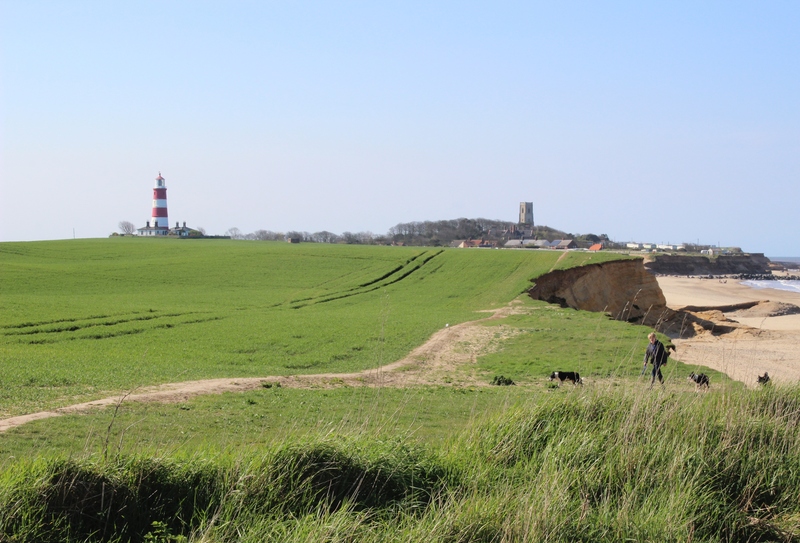 This walk mostly follows a clifftop path with fantastic views of the coast and arable landscape, with the impressive red-and-white striped Happisburgh lighthouse featuring prominently too. Combine a clifftop walk with a stroll back along the beach for a 2 mile walk. This area is becoming known as the Deep History Coast due to its incredible history. You can catch a glimpse of the past when walking along the beach – look up and you will see the glacial beds of the cliff formed between 700,000 and 900,000 years ago. The Happisburgh Handaxe was also found here as well as fossilised human footprints dating from over 800,000 years ago! They are thought to have been made by a family with young children, so imagine walking in the footsteps of our early ancestors as you enjoy the scenery. Continuing along the beach east for 2.5 miles from Cart Gap you will reach the seaside town of Sea Palling, with its beautiful wide beaches and characteristic sea-defence ‘reefs’. There is also an alternative inland route that takes in the views of arable and pasture countryside, as well as sea views, which could be followed back to Cart Gap for a 5 mile circular walk. We suggest you take this route if the tide is high. For more info about checking tide times and beach safety visit Norfolk Coast AONB website. If you fancy a longer stroll you can go all the way through from Happisburgh to Sea Palling for a lovely 3.5 mile walk one way or a medium length walk of 7 miles there and back. There are places to warm up with food and a cuppa in Happisburgh and Sea Palling, plus a cafe at Cart Gap. 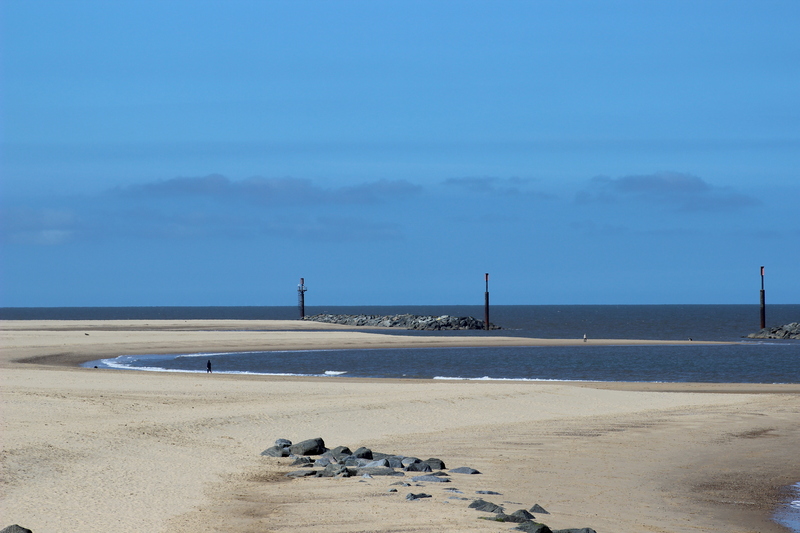 There are lots more walks along this new stretch of the Norfolk Coast path! The coastal marshes have some spectacular winter wildlife and now is the time to visit. The largest seal colony in England is at Blakeney National Nature Reserve which you can get to via the Norfolk Coast Path. November to mid-January is the grey seal pupping season and the best way to see them is by boat trip available over the whole winter season! In 2014 the number of seal pups at Blakeney outnumbered the previous year’s which caused quite a stir, and even featured on the BBC News. While you are in the area you can really take in the atmosphere by enjoying one of the circular walks off the main trail. Blakeney Circular Walk 7.5 miles. Starting on the Norfolk Coast Path following a raised bank, you have stunning views across the marshes heading towards Cley-next-the-sea (where there are plenty of places for a warm cuppa). From Cley head inland along paths and quiet country lanes to the Blakeney Downs before returning to the start (for another well earned tea or coffee I should think). 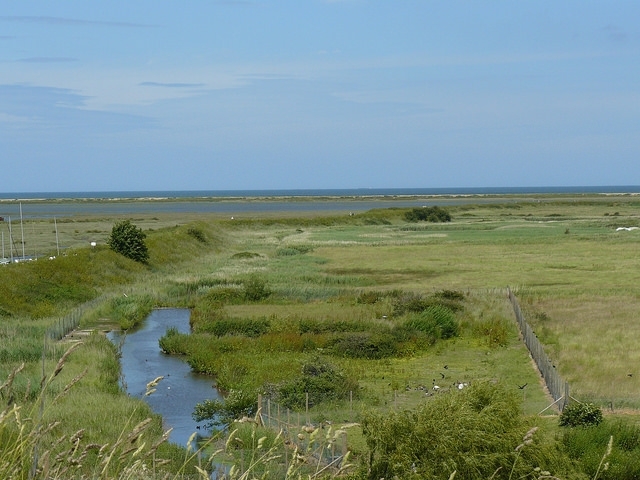 Nearby, further east along the coast, past Cley-next-the-Sea, is Salthouse, a beautiful coastal village with a varied landscape of marshes and heathland. The Salthouse Circular Walk is a pleasantly varied 5 miles that starts in the village, heading up onto heathland which holds many hidden treasures, from the Prehistoric era to World War II. The largest Bronze Age Burial Cemetery in Norfolk, of over 60 burial mounds, stretches across the heath. This walk will take you past one or two, with Gallows Hill, one of the larger burial mounds just a short detour away. 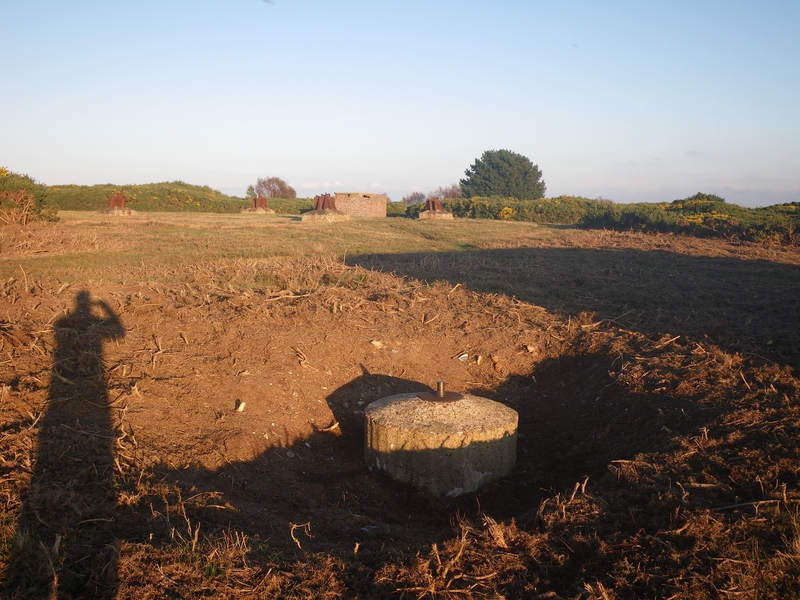 Also on the heath at Bard Hill are the remains a WWII RAF radar station, Nissan-type huts and spigot mortar. The buildings have been partially destroyed after an aircraft crashed into the radar station in 1945. Read the story here. Continuing along, the circular walk takes you towards and around the salt marshes where you can enjoy watching over-wintering birds. The end of the walk heads along the shingle beach and back to the village. Salthouse Marshes – designated a Norfolk Wildlife Trust Nature Reserve – are a nationally important birding site, particularly for wintering birds, such as the Snow Bunting. 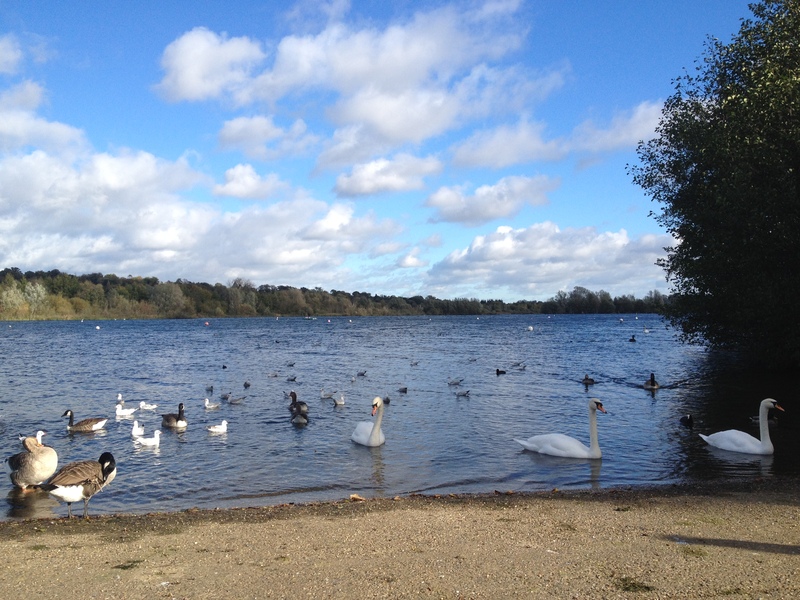 This short yet pleasant circular walk takes you around Whitlingham Broad, through a mosaic of open grass areas and small wooded areas of willows and poplars. After walking a section of the Wherryman’s Way the path snakes around the Broad and soon you’ll reach the River Yare. There’s a conservation area with a bird screen that will allow you the opportunity to spot some typical Broadland wildlife. This walk is suitable for all ages and abilities. 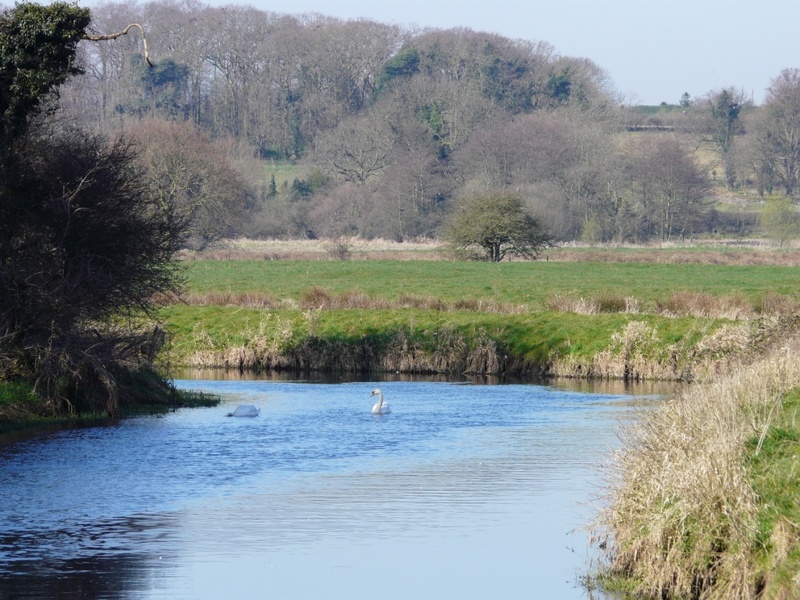 A more moderate walk that also follows part of the Wherryman’s Way and the River Yare. 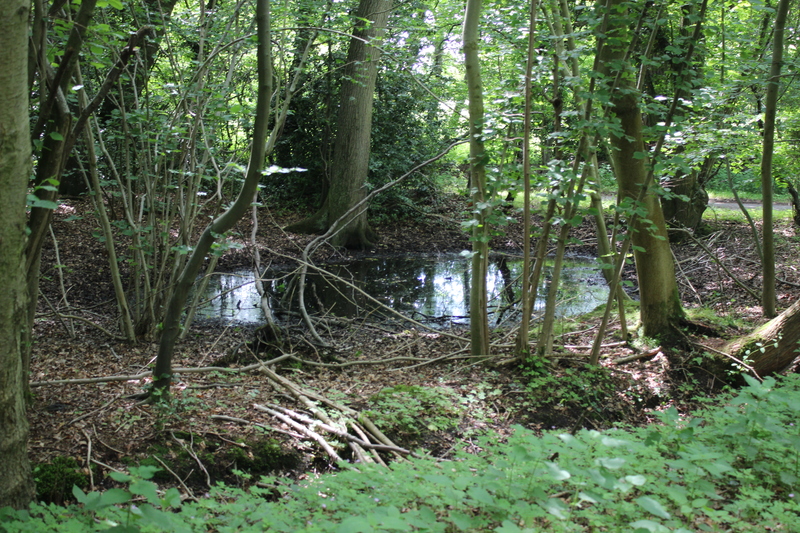 There’s plenty of opportunity to spot some wildlife here as the walk takes you past two nature reserves: Ted Ellis Trust at Wheatfen Nature Reserve and Surlingham Church Marsh RSPB Nature Reserve. Look out for large flocks of birds flying at dusk or gathering to feed. You may even be able to spot a kingfisher! But be warned, the walk can get quite muddy in the winter so this will be one for the wellyboots – Don’t worry there are several pubs along the way to warm up in. 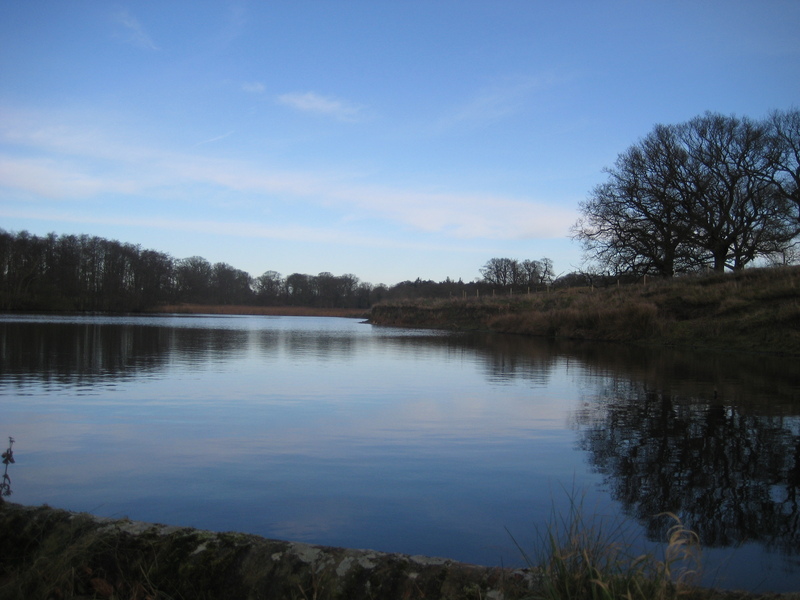 You can download a booklet of all the circular walks along the Wherryman’s Way from our website. Another short riverside ramble that circles through the Carrick Estate. Starting at Hunters Hall (also a convenient place to park) the path heads towards Castle Farm that sits on the River Wensum. Swans, geese, ducks and even kingfishers are typically found on and around the river. You may even be lucky in spotting deer and pheasants in the marshy area around the river. The walk follows along the river before cutting back to Hunters Hall, through an old medieval Deer Park. The impressive National Trust Property, Felbrigg Hall, is the starting point for this circular walk which joins the Weavers’ Way. Follow the path along boardwalk, through meadows and past a lake to reach St Peter’s and St Paul’s Church, where the path leaves Weavers’ Way to join a public footpath. This path takes you towards St Margaret’s Church and back to Felbrigg Hall. Facilities are available at Felbrigg Hall but check their opening times over the holiday seasons. Featuring another beautiful Norfolk country house the Blicking Circular walk starts at National Trust property Blickling Hall, on the Weavers’ Way and takes you across the impressive parkland out to Calthorpe and back. Other points of interest include the Pyramid Mausoleum in Blickling Park, the 16th Century Blicking Mill and Our Lady and St Margaret’s Church in Calthorpe. Alternatively, there is a shortcut across the River Bure which splits the walk into two shorter circular walks. 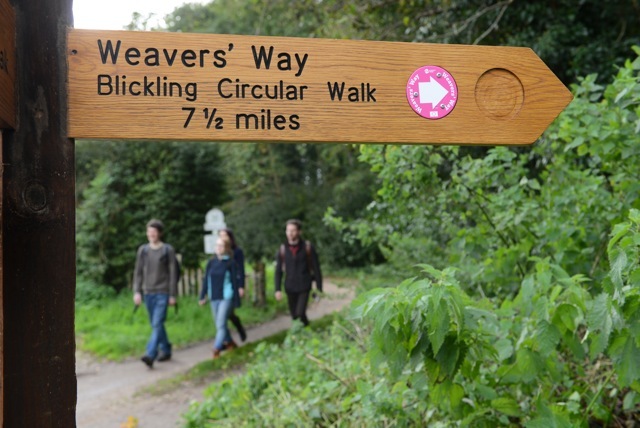 There’s parking at Blicking Hall and on the Weavers’ way (featured on the map) or you can walk along the trail from Aylsham – Just follow the signposts to pick up the Weavers’ Way. For information on Geocaching along the Weavers’ Way visit our website. On this 6.5 mile walk you’re transported back to 12th Century Norfolk. 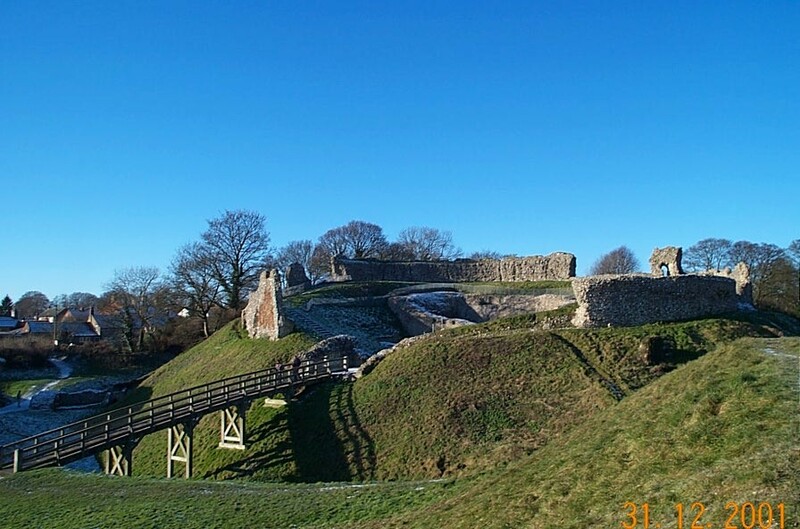 At the start of the walk you can wander around the Castle Acre Castle and Bailey Gate (open only in daylight hours). The walk joins the Peddars Way and takes you past the Cluniac Priory remains of Castle Acre Priory; a fantastic photo opportunity! 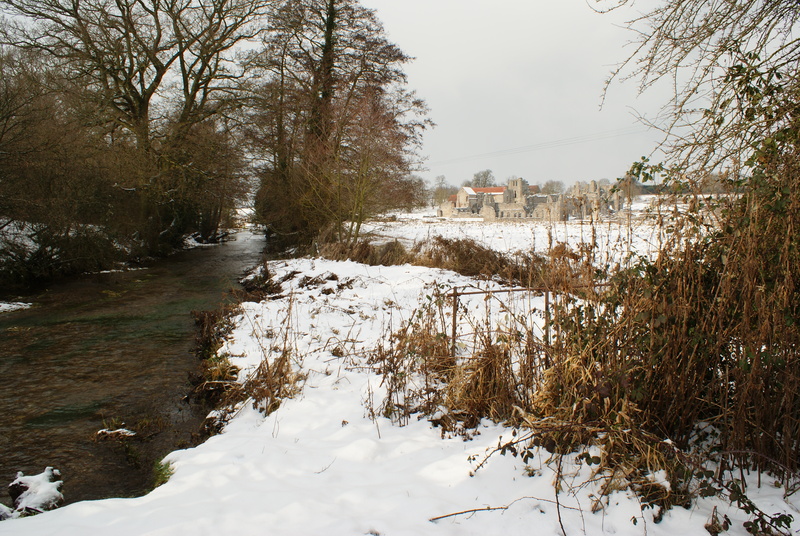 (If you want to visit the priory make sure you check admission and opening times here). You leave Peddars Way at South Acre and follow the route through plantations and across fields to West Acre where the route joins the Nar Valley Way back to Castle Acre. There’s opportunity to warm up in a pub and have drink at West Acre and also Castle Acre where you can enjoy the 16th Century architecture in front of an open fire. For more information on the Peddars Way and Nar Valley Way visit our website. …takes you even further back in time to the Ice Age! Pingos are ground ice depressions that formed approximately 20,000 years ago during the last Ice Age. They were formed by ice expanding under the ground. When the ice thawed it collapsed and left a circular depression. They now tend to be filled with water or fen vegetation. Why are they called Pingos?! It is the Eskimo word for ‘hill’. Along the trail you will find clusters on Thompson Common and Stow Bedon Common. You could say this is a truly wintery walk! Starting at Stow Bedon Common the 7 mile trail crosses various commons and heaths before joining the Peddars Way. The trail leaves the Peddars Way at Thompson Water and crosses Thompson Common. The landscape encapsulates the typical Breckland character of heath and pine forest. Read more about Pingos and the Breckland landscape in Norfolk and Suffolk Brecks Landscape Character Assessment. Winter is the perfect time for a woodland walk as without leaves on the trees you can enjoy seeing the birds more easily. Burlingham Woodland Walks are a mosaic of older woodland and newer plantations all with their own distinct character. The walks take you through the hamlet of Burlingham Green, the parishes of Lingwood, Burlingham, Hemblington, South Walsham and the historic town of Acle. There are walks for all ages and abilities. In particular Church Plantation, Drive Plantation and Millenium Wood have access for mobility vehicles. Have a go at the popular Sculpture Trail scattered throughout the woodlands – 15 bronze plaques representing a local scene or event – see if you can find them all, don’t forget to take some paper and a crayon to take a rubbing from each. Download the map and guidebook of Burlingham Woodland Walks from our website to start planning your winter woodland walk. Now that’s plenty to be getting on with…. We would love to hear how you get on. Share your photos and stories of your winter walk via Facebook, Twitter or feature on our blog. 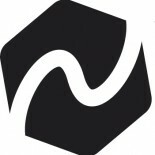 This entry was posted on December 15, 2015 by norfolktrails in Uncategorized.